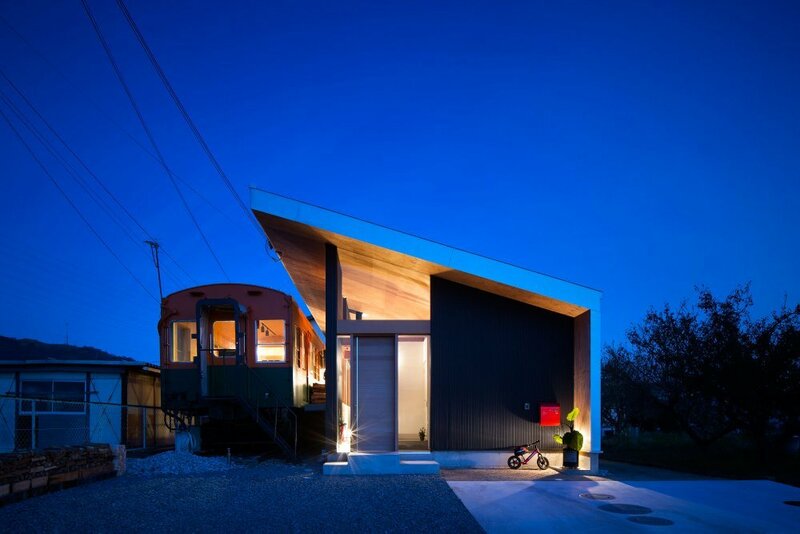 Contemporary Family Platform House Integrating with Vintage Train Car in Japan is a creative residential project completed by Japanese architect Takanobu Kishimoto in Takasago City. 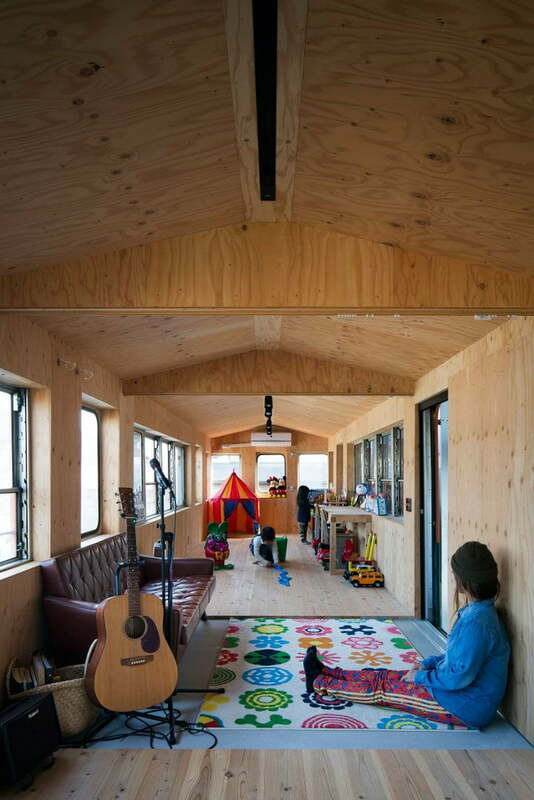 Interested in what the architects did with the old car train? 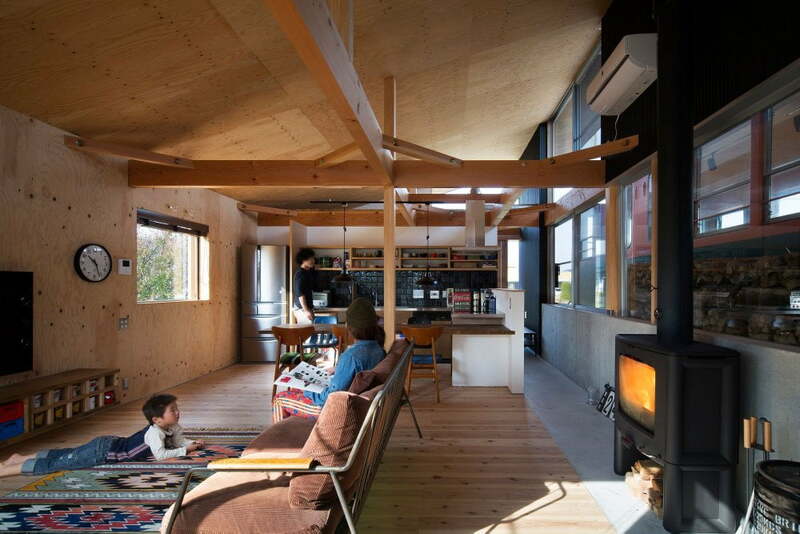 Apparently, this unusual household artifact was converted into a large space for firewood storage and additional living area. According to the Contemporary Family Platform House developers, this car train in the images below has been on the site for years. Despite the initial plans to remove it completely, the architects decided to integrate it in the overall design of the single-story house. 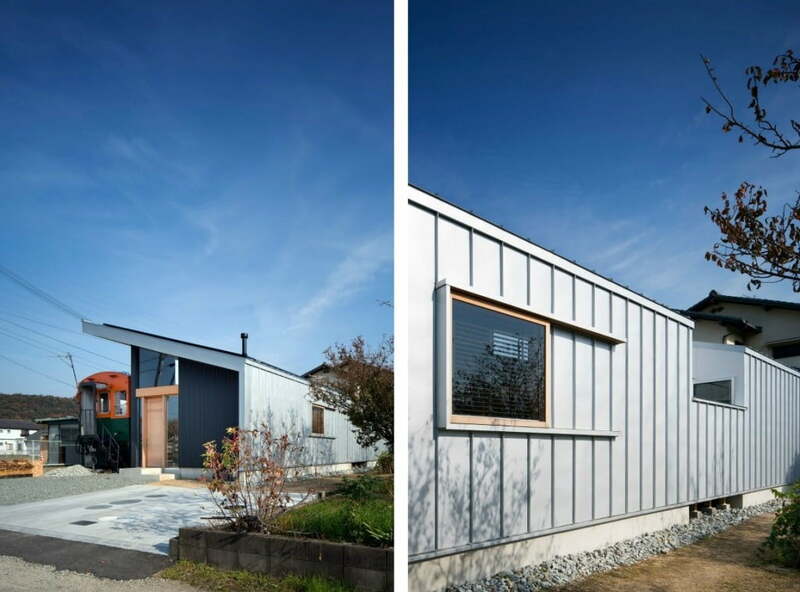 The new contemporary family platform house construction features a metallic cantilevered roof which resembles a platform of a train station. You have to admit the “duo” is believable: one may even feel the “train” is just about to leave the station. 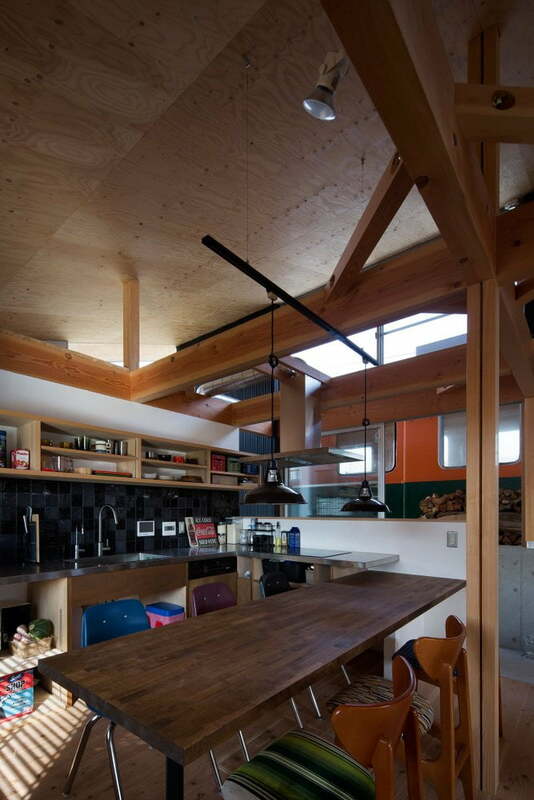 Extensive use of wood makes the interiors comfortable, inviting and child-friendly. 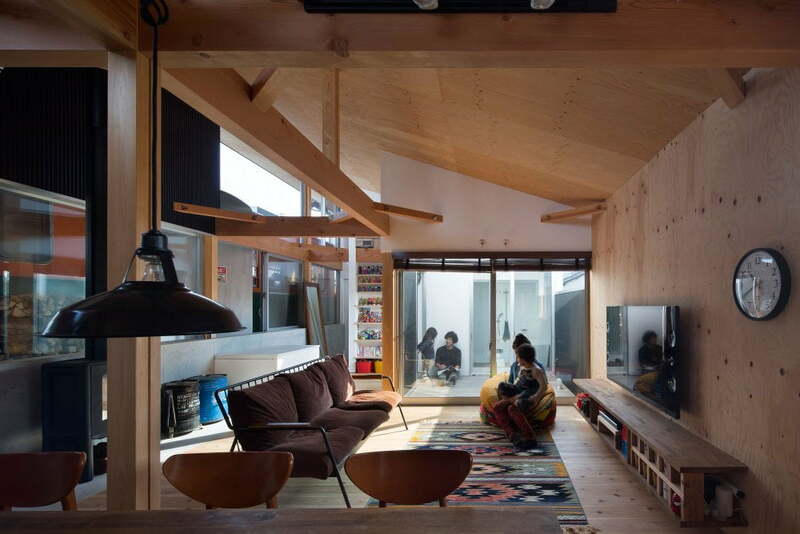 The Japanese are known for their creative minimalist home design approaches, but this project stands out with its powerful human touch. Every corner of contemporary family platform house seems to reveal something connected to the personality of the owners, which makes this place a real home. Enjoy the virtual tour and let us know what you think! So, friends this is one fine contemporary family platform house example for your mind refreshing ideas for your design. Hope you like this creative approach towards design.